Oh what joy! 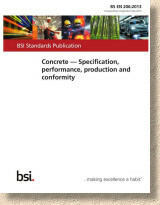 The accidental cure for insomnia which is BS 8500, the main British Standard for concrete specifying, has been re-vamped and is now available to purchase as hard copy or in digital format. This could be that ideal Christmas gift you've been searching for to give to that special person in your life! 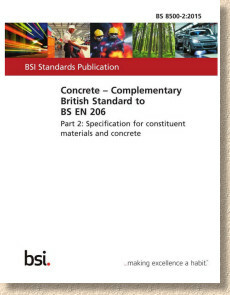 The two parts of BS 8500, cunningly entitled as Part 1 and, wait for it, Part 2, are essential supplements to the main European Standard, BS EN 206 which covers concrete for structures cast in situ, precast structures, and structural precast products for buildings and civil engineering structures. As usual, the price is a litle bit scary but BSI members do get the usual 50% discount so, if you're a regular user of these documents, membership is well worth considering.